To do anything on a computer, you need n+1 monitors, where n=number of cats in your living space. In the future the internet will be totally taken over by cats. All the humans will be either dead or employed creating internet toys for cats. My cat will probably still keep me around to move the pointer so she can attack it. At least you didn’t have to suffer the same indignity as this human. We need a plush of squeak sitting like that. 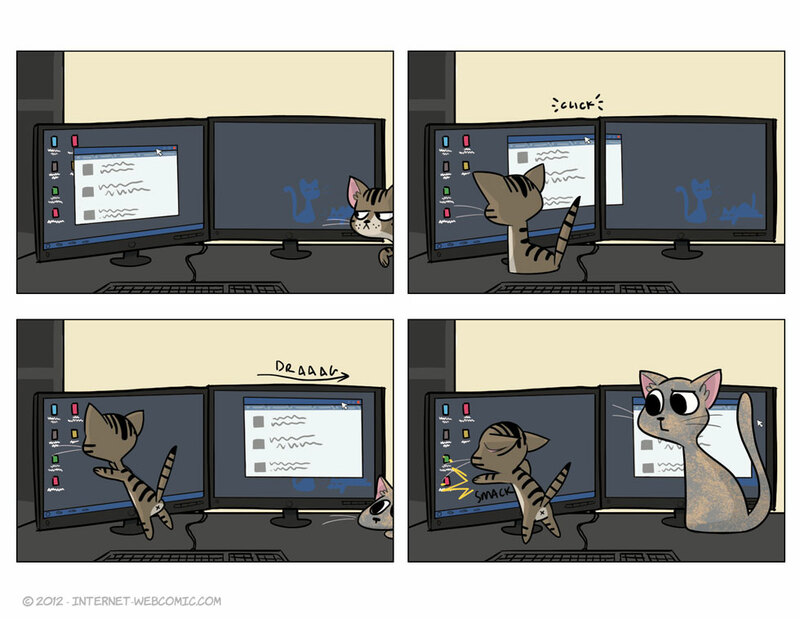 My cat would probably do the same thing if I had desk space… And a computer screen that didn’t take up 47% of said desk space. I abide by the n+3 rule in a situation in which I don’t own any cat.